Perennial herb, up to 70cm tall, native to central and eastern Asia from eastern Tibet across northern China to eastern Siberia, widely cultivated as an ornamental; flowers single, white or pink (in wild plants), or varying in color and single or double (in cultivated plants). There are several cultivars with showy flowers, some fragrant and some not. 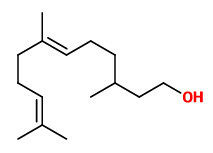 Other volatiles were methylheptenone, α-terpineol, citronellal, geraniol, farnesol, 2,3-dihydrofarnesol, nerolidol, benzaldehyde, guaiacol, and 1,4-dimethoxybenzene e.g. The dried roots, Paeoniae radix rubra (red roots) and Paeoniae radix alba (white roots) are used in Traditional Chinese Medicine (colors refering to the roots, not the flowers). White roots ar used to treat headache, dizziness with visual disturbances, pain of different origin, spontaneous perspiration and night sweats. Red roots are used to treat infectious diseases with exanthemes, bleeding from the mouth and nose, menstrual pain, boils and skin ulcers. The roots, Chinese drug name PhPRC 2010: Paeoniae radix rubra, chishao, 赤芍, are used to treat febrile infections, red tongue, hemoptysis, petechiae, acne and furunculosis, post-traumatic pain and swelling, dysmenorrhea, abdominal pain, red and swollen eyes. PhPRC 2010 demands min. 1.8% paeoniflorin.